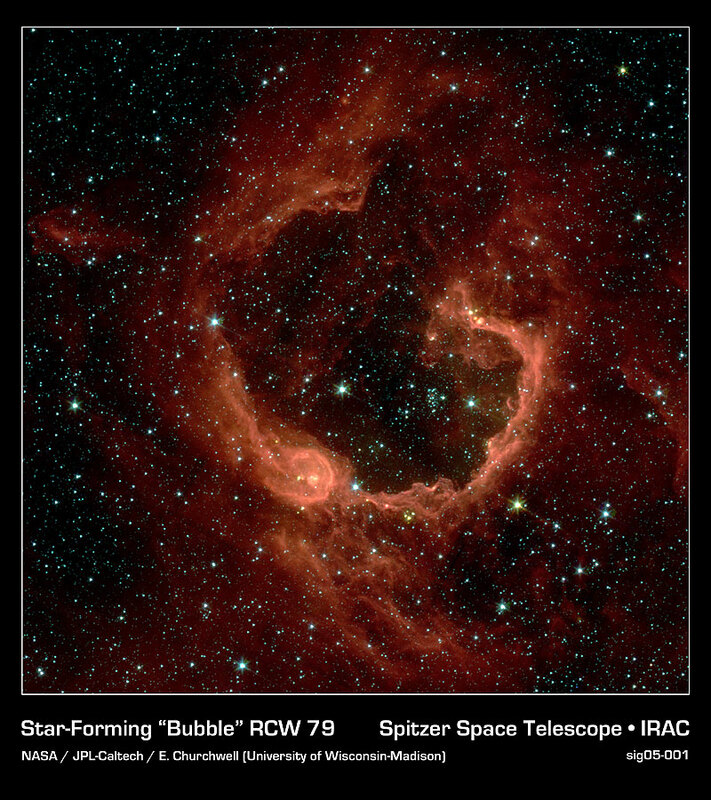 Explanation: A cosmic bubble of gas and dust, RCW 79 has grown to about 70 light-years in diameter, blown by the winds and radiation from hot young stars. 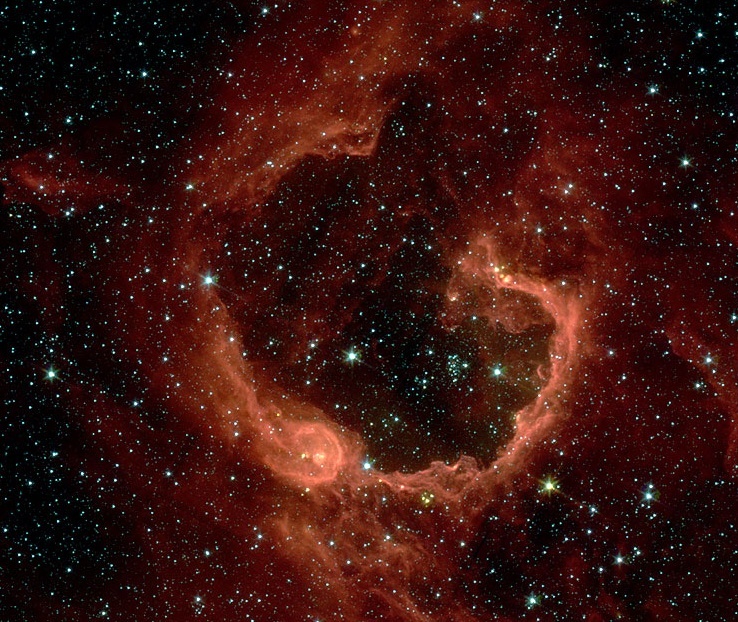 Infrared light from the dust embedded in the nebula is tinted red in this gorgeous false-color view from the Spitzer Space Telescope. A good 17 thousand light-years away in the grand southern constellation Centaurus, the expanding nebula itself has triggered star formation as it plows into the gas and dust surrounding it. In fact, this penetrating infrared picture reveals groups of new stars as yellowish points scattered along the bubble's edge. One remarkable group still lies within its own natal bubble at about 7 o'clock (lower left), while another can be seen near the upper gap at about 3 o'clock (right) from the bubble's center.